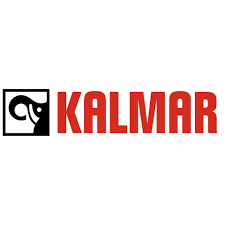 Kalmar, part of Cargotec, has concluded an agreement to supply a further three Kalmar T2 terminal tractors, including preventive and on-call maintenance service, to leading Dutch online retailer VidaXL. The order was booked in Cargotec’s 2019 Q1 order intake, with delivery of the machines scheduled to take place during Q3 of 2019. VidaXL is a rapidly growing international online retailer serving three million customers every year and employs close to 1,500 people around the world. The VidaXL central distribution centre, located in Venlo in the south-east of the Netherlands, covers an area of 100,000m2 and the company is soon to begin construction on a new facility of 75,000m2. VidaXL already operates two Kalmar T2 terminal tractors at the centre, which are used to forward ready trailers to a central location for onward transportation. The Kalmar T2 Terminal Tractor has been designed based on extensive feedback from customers and drivers as well as the vast experience of our in-house team. It offers unparalleled flexibility in terms of engine, transmission and axle combinations as well as easy maintenance, a safe and comfortable operating environment and reduced operating costs in the long run.